With two kids in the house, my “laundry list” feels a ton longer than ever before. With loads of items on the to-do list these days, worrying about a bad purchase shouldn’t be one of them—especially when it’s a big ticket item. 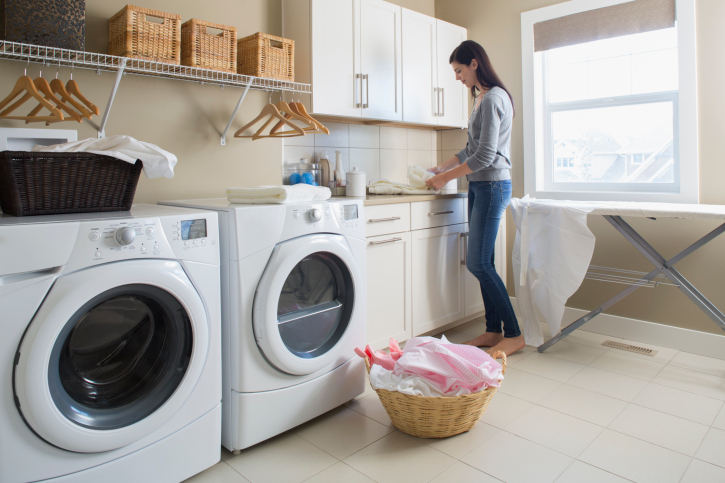 If you’re in the market for a new washer and dryer (like I’ve been this year) then read on! 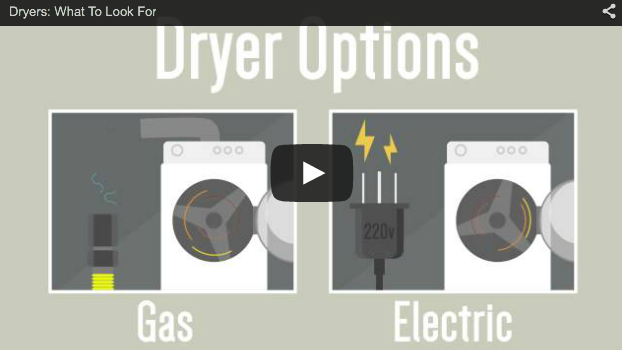 I’m sharing my handy shopping guide on what to look for when buying your next washer and dryer. Now that you have kids, your old washing machine might not cut it. You’re going to want an efficient, larger basin that hopefully doesn’t occupy too much space or make that much noise, and gently banishes stains to oblivion. 1. Can this washer handle multiple loads a day? What’s the wear and tear on a model like this? 2. Do I need side-by-side units or stacked units? 3. Will this fit in my current space? 4. Will you haul away my existing unit? 5. Is this an HE model? What kind of detergent should I be using? 6. What’s the warranty? How are part replacements handled? 7. What size is best for my family size? Am I adding to my family now or in the next few years? 8. 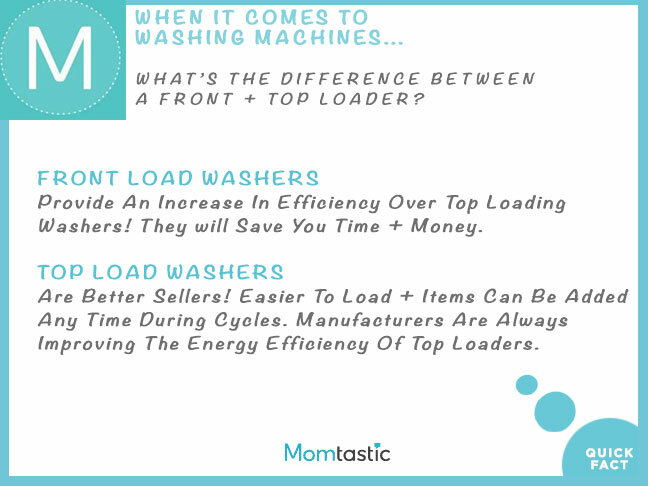 Should I get a front loader or top loader? What’s the difference between the two? Larger capacity dryers are a saving grace! Cutting down on drying time can sometimes mean cutting down on headaches. Capacity — Determine the right capacity for your household by thinking about efficiency and the size of your household—this will save you time and money in the future. Ask yourself: How many are you in the household, how often do you use the dryer, and what type of items do you typically dry? This LG Mega Capacity Graphite Steel High Efficiency Top Load Washer, $999, offers huge loading capacity and delay-wash timer for multi-tasking! Controls and Gadgets — Controls are really a personal choice. Think about whether you want a touch dial, knobs, or touch-sensitive controls. An easy-to-read control panel is important, as is a clear understanding of what each feature does. 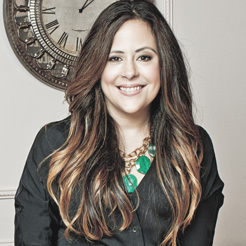 Learn firsthand (IRL on the sales floor) about what each control does. This Maytag White Gas Dryer, $599, offers wrinkle control. Eco-Cycle: Dryers that have an eco-cycle will use a lot less energy—it will save you money on energy bills and will lengthen the lifespan of your clothing (mama likes). Delicate: This cycle uses a lower temperature to gently wash your delicates. This will help the clothes last longer and maintain their vibrancy. 1. Will this dryer save me trips to the cleaners? 2. 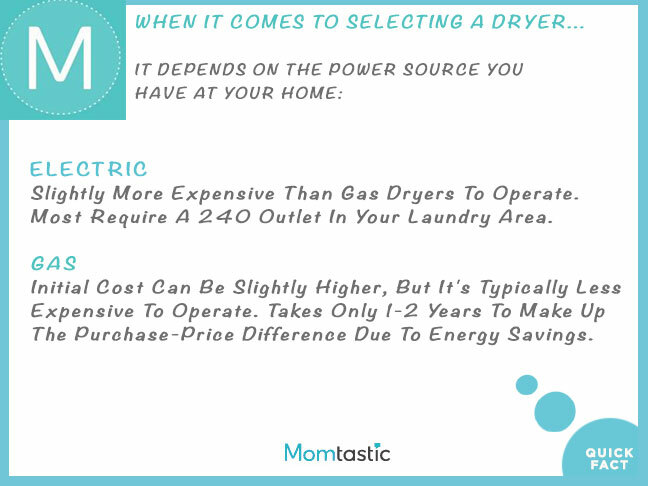 Ask about drying times and clothes best suited for that type of dryer. 3. Mom brain is real! Make sure your easy to understand control panel is REALLY “easy to understand.” Ask away while on the sales floor. Getting a clear understanding of your control panel means all the difference in the lifespan of your clothes. Think shrinkage. 4. What’s the lifespan on a unit like this? Are you in the market for a washer and/or dryer? What’s the most important feature to you when selecting your family’s next washer/dryer?